Following an exposé in 2012, traders of used and part-worn tyres have suffered a knock to their reputation. The TyreSafe and AutoExpress investigation revealed a frighteningly large number of dealers selling tyres of illegal – even potentially lethal – quality. According to TyreSafe data, only 6% of the used tyres they inspected met the legal standard, with up to 58% featuring defects or structural damage affecting their safety. For some years, the part-worn tyre has been a popular alternative to the (now largely extinct) remoulded tyre, which involved recladding a worn-out tyre with new rubber. In contrast, a part-worn tyre is simply a tyre which has previously been used on another vehicle. These are often taken from a vehicle before it is scrapped, if the tyres are deemed roadworthy and valuable enough to be salvaged. The usual reason a person might consider buying part-worn tyres is, simply, price. Completely replacing your vehicle’s tyres with brand new ones can be twice as costly by comparison. It’s therefore entirely understandable that the average cash-strapped motorist could be attracted to the cheaper alternative. The sale of part-worn tyres is strictly regulated in the United Kingdom. However, the sad reality is that the law is not enforced satisfactorily, and there is no independent industry body to ensure uniform standards. This makes it all too easy for rogue traders and unscrupulous dealers to pass poor-quality products onto their bargain-hunting customers. Quality control standards between different shops and vendors can therefore vary significantly. Some will inevitably take more care than others. Any verdict on part-worn tyres tends to depend massively on an individual’s experience. For some, buying part-worn tyres was a great success which kept their vehicle on the road at a fraction of the mainstream asking price. For others, a part-worn tyre purchase might have led to significant issues, forever associated with a risky gamble they believe they should never have taken. Ultimately, this means motorists buying used tyres must usually do some of their own due diligence, to ensure that any “gamble” in the purchasing equation is removed as much as possible. There’s no point making a saving on cost if the trade-off is putting you and passengers in your car at risk of injury or worse. If you know what to look for, however, there’s no reason you can’t buy a set of used tyres which will see you through a healthy amount of mileage. The tyres sold by our team at ASM are in virtually mint condition, more nearly-new than part-worn. When scrapping a vehicle, we tend to source our tyres from unused spares instead of those which have been on the road. Our staff are professionally trained and accredited to judge the quality of any tyre, which is why we check tread depths, tyre pressure and more before selling to any of our customers. If there are flaws or potential long-term issues with a product you buy from ASM – or anything else you should be aware of – we’ll be the first to let you know. 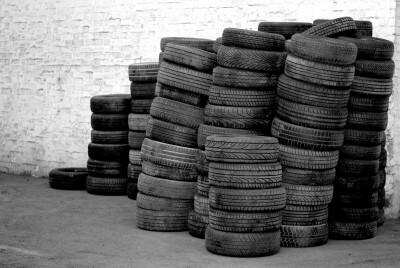 Learn more about ASM Auto Recycling’s used tyres service. Large corporations and vehicle manufacturers tend to care more about regulations – and ultimately their image – than a back-street garage does. Buying from a brand you can trust is a good way to ensure the tyre you get is built to a recognised standard. Driving on a used tyre which doesn’t match the other three is not the best idea. Buying used tyres in a pair or a set can be advantageous, as you can ensure that both tyres on an axle are matching. A new tyre should have a tread of roughly 8mm. When the tread wears down to 3mm, this is the point where most industry experts recommend seeking a replacement. A tyre which has hardly been used should guarantee plenty of mileage – look for those which are nearing 8mm depth and evenly worn all the way round. After tread wear, you should check the sidewalls for scrapes, cuts, eroded rubber or any signs of previous damage. Damage on the sidewalls can indicate a fundamental problem with the tyre as a whole, so be sure to investigate the internal sidewall as well. Tyres which have been punctured in their previous life are often plugged with rubber to seal against any leaks. There’s nothing wrong with these repairs, in principle. However, visible repairs could indicate a deeper problem limiting the tyre’s maximum speed rating or overall effectiveness. If you see one of these indicators, check the interior of the tyre. You may unearth structural damage to the tyre belts, in which case walking away from the deal may be the best option. Part-worn tyres remain controversial within the industry, and not without reason. Knowing the source of your tyres, and their history, is increasingly important for anybody looking to buy second-hand. While there may always be a need to check the quality of the tyres you’re buying, this extra admin can be reduced by going with a company you can trust. At ASM Auto Recycling, our nearly new tyres are fully checked for road-worthiness, guaranteeing you walk away with a good deal. Contact us today for any information about our Tyre Bay and other services!